Neubecker will join the executive team at HaystackID LLC, an international end-to-end litigation support, forensics and managed services provider. With both a Certified Information Systems Security Professional (CISSP) and master of business administration (MBA), he boasts a range of technical acumen and experience. From 2000 to 2016, Neubecker served as president and CEO of Forensicon, Inc., which he founded. He led a team of experts and helped establish his firm as the premier computer forensics firm in the midwest, handling complex investigative and litigation matters including white collar crime, trade secret misappropriation, data breach incident response and various employment litigation matters. In addition to providing eDiscovery, forensics, litigation support, and data recovery consultation to a wide variety of entities, Neubecker acted as an expert witness and renowned digital sleuth. “Lee’s exceptional understanding of computer forensics, systems and management has made him one of the premier leaders in this industry,” said Haystack president and CEO Kevin D. Glass in a press release. Houpt will drive DataBank's information security and compliance initiatives to ensure that the company's solutions meet rigorous and changing compliance and cybersecurity standards. He is responsible for developing and maintaining the company's security program roadmap and datacenter compliance programs. Houpt brings more than 25 years of extensive information security and information technology experience in a wide range of industries and institutions. He holds an MS-ISA (Masters Information Security and Assurance), numerous security and technical certifications (CISSP, CEH, CHFI, Security +, Network+), and he is qualified for DoD IAT Level III, IAM Level III, IASAE Level II, CND Analyst, CND Infrastructure Support, CND Incident Responder, and CND Auditor positions and responsibilities. Houpt is an expert in understanding and the interpretation of FedRAMP, HIPAA and PCI-DSS compliance requirements. Mark is an active member of ISC2, ASIS International, COMPTIA, IAPP, and ISACA, among other leading national and international security organizations. Perez spent the last 15 years with VISA, mostly recently as the senior information security and compliance officer for Global Service Operations. Centra Tech, which sells cryptocurrency products, expects Perez to apply his payment card expertise to enhance the security if its Centra Wallet and Card platforms. Perez previously held the titles of director of external penetration test team and director of information security for VISA Latin American Region. He has been responsible for managing operational and security risk for more than 100 Global Customer Support Services contact centers through identification of risk exposures and examination of controls effectiveness to calculate residual risk. He was also responsible for ensuring adherence to VISA internal policies, PCI—DSS standards, domestic and international regulations (including GDPR, Security Shield and PIPEDA). Holden assumes his new role in January and will support strategic business initiatives for Axon, a provider of connected law enforcement technologies. 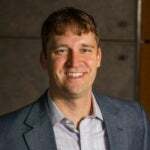 Previously senior vice president of information security, Holden will continue to oversee the information security program that protects Axon's systems and products, including the Evidence.com platform. Since joining Axon in 2013, Holden has been instrumental in building a company-wide culture of security. 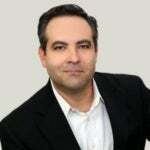 He has more than 12 years' experience evaluating and managing enterprise-level information security programs. 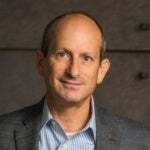 "We're thrilled to have Jenner join the leadership team given his dedication to making the Axon network strong and secure for our customers,” says Rick Smith, Axon CEO and founder, in a press release. Since he joined Grainger in 2014 as senior director of information security and business continuity, Lohman has played an important role in establishing and maintaining the company's cybersecurity vision and collaborating with customers, Grainger leadership, and the board of directors on security-related matters. Lohman also serves as the HIPAA Security Officer at Grainger, a supplier of maintenance, repair, and operating (MRO) products serving businesses and institutions. "Mark has decades of experience in information security, and we are excited to announce his new role as Chief Information Security Officer," said Greg Harman, Grainger vice president and CIO, in a press release. "Cyber threats are constantly evolving at the same time our company information must become more accessible and mobile for our customers, suppliers and team members. This means companies need to prioritize vigilance and awareness to realize information security. Strengthening our commitment to cybersecurity demonstrates to all of our partners that Grainger plays an active role in securing sensitive data and our systems, and enables Grainger to be a reliable and trusted partner." 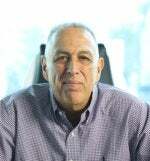 Prior to joining Grainger, Lohman spent more than 20 years leading and training security teams, managing incident response issues, and delivering security solutions to large global companies across several industries, including aerospace and defense, energy, financial services and healthcare. Mapes is expected to grow and build on the existing security services suite at this Phoenix-based provider of IT, voice, and cloud hosting solutions, with an increased focus on providing cybersecurity assessments and security managed services for mid-market to enterprise-level businesses. “I’ve been impressed with Trapp Technology’s success in the managed services market, and I firmly believe that the company is well-poised to lead the cybersecurity services mid-market with smart, business-driven solutions,” said Mapes in a press release. In his 25-year career in IT, Mapes has 19 years in information security and 14 years in senior leadership roles, of which eight were as CISO. 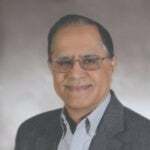 He has acquired a unique matrix of experience in cybersecurity thought leadership including designing Information security programs and operations, advising executive teams and boards, as well as deep technical experience performing forensic investigations, intrusion testing, and incident response. Mapes has worked extensively with healthcare companies and providers to secure patient medical records and meet HIPAA compliance. In his dual role, Dupree oversees infrastructure, development opportunities, cloud, and security to ensure that CareerBuilder clients and users are protected in a safe ecosystem. He is responsible for directing CareerBuilder's global IT and information security vision, policies and programs to execute a state-of-the-art defense. "Employers need to be hyper-vigiliant in today's environment where there is a large and growing number of cyber threats," said Irina Novoselsky, president and COO of CareerBuilder in a press release. "A key focus for CareerBuilder is providing the most comprehensive security in the industry, and having Anthony on board underscores our commitment to anticipating and proactively addressing future vulnerabilities. Anthony is an established thought leader with deep expertise in building watertight security and technology, and his unique role will set new standards for the industry." "One of the reasons why I was drawn to CareerBuilder is that security is not just a priority for the organization, it is ingrained in the company culture," Dupree said in a press release. "At the core of CareerBuilder's structure is an in-depth, multi-layered defense model that combines the power of people, technology and operations to ensure the company and its partners are protected. This model puts us in the best position to safeguard against outside threats, and I look forward to building upon it in exciting new ways." Before joining CareerBuilder, Dupree served as the CIO and CISO of Novitex. He also held senior roles at McGraw-Hill Education, Elizabeth Arden, and Toys R Us, managing global enterprise IT security, network infrastructure and risk and compliance programs. Dupree is also a decorated Army Reserve Officer who served for 28 years before retiring as a Lieutenant Colonel. In this newly created role, Ramsey is responsible for the overall organizational security strategy, security program oversight, and security architecture development, including all data and information security policies, standards, evaluations, roles, and organizational awareness for the Clearinghouse. Ramsey was formerly the CISO for the U.S. House of Representatives and members of Congress, which has 950 sites across the entire United States and associated territories. In March 2017, he was selected as one of the top 100 CISOs globally, only one of two government CISOs selected. He has worked in the IT security field for more than 25 years, including security operations for the Department of the Army and Department of State, and as the CISO for the Federal Retirement Thrift Investment Board, which oversees the world's largest defined contribution retirement plan at $480 billion for 4.8 million people. While in the U.S. Army for 11 years, Mr. Ramsey was an intelligence and security analyst with concentrations on Russia, Eurasia, Iraq, and Iran, and served as a senior enlisted security advisor for the NATO military commander at Supreme High Allied Powers in Europe. 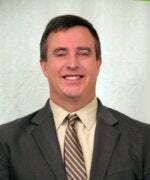 Mr. Ramsey holds a bachelor’s degree in information systems management from the University of Maryland and a master’s degree in management information systems from the University of Central Florida. As Protegrity’s VP and CSO, Alliances and Services, Advani will evangelize the importance of security to influence customers and partners. He was most recently an IBM director and software chief security compliance officer. In that role, Advani consulted and collaborated with C-suite executives and board members at global brands to help them build a culture of cyber risk awareness and preparedness. He is a graduate of the Indian Institute of Technology (BS) and the Georgia Institute of Technology (MS). Advani is also a member of IEEE and FIRST Forum for Incident Response for Security Teams. “As Tina Fey put it, ‘Being a good boss means hiring talented people and then getting out of their way,’ and I am delighted to have him lead the initiatives of the Protegrity’s Professional Services and Alliances teams, both of which are fueling our company’s current and projected growth,” said Suni Munshani, Protegrity CEO, in a blog post on the company website. LookingGlass Cyber Solutions, a provider of threat intelligence-driven security, has hired two cybersecurity professionals to join its executive leadership team: Michael Taxay as chief risk officer (CRO) and general counsel, and Jeremy Haas as CSO. They join the company to help prevent cyber attacks by operationalizing threat intelligence and delivering unified threat protection solutions to government organizations and corporate enterprises. Taxay joins LookingGlass after a distinguished career in both the public and private sectors. He recently retired from the FBI Cyber Division as a member of the senior leadership team responsible for the Bureau’s counter-cyber intrusion program. Taxay previously served at the Department of Justice as acting director for Cyber Counterterrorism and Financial Enforcement, and as deputy chief of the Counterterrorism Section. At LookingGlass, Taxay will be responsible for the governance of significant risks impacting the company including strategic, reputational, and operational. He will also be the company’s primary legal advisor and serve as an industry thought leader. Haas has spent the past 24 years at the Central Intelligence Agency (CIA) and U.S. Air Force (USAF) supporting intelligence activities. Haas is a recognized cybersecurity expert, having served at the CIA’s Center for Cyber Intelligence within the Directorate of Digital Innovation. There he led and participated in cyber operations, engineering and analysis activities in support of intelligence, counter intelligence, and covert activities. Haas will lead the company’s internal cybersecurity strategy and aid in the development of advanced threat detection and mitigation products. By joining this IT solutions provider for alternative investment firms, Parsons brings over 25 years of experience in the IT and security fields. He has worked for some of the largest financial services firms in the world, including Barclays, Deutsche Bank, Citibank, and Macquarie Bank. “Cybersecurity is and will continue to be the most vital aspect of IT. Having someone of Dave’s caliber join our executive management team is a sign of our continued commitment to being a leader in our industry,” said Chris Grandi, CEO of Abacus Group in a press release. Parsons will be responsible for the overall strategy and direction for security services at Abacus Group. “I am excited to join such an innovative company with a stellar reputation for service and look forward to working with the team on further enhancing their already extensive cybersecurity offering,” said Parsons in a press release. Parsons has a master’s degree in information technology from Harvard University and is a Certified Information Systems Security Professional (CISSP). He has extensive knowledge and expertise in developing and managing information security programs and policies against compliance and regulatory requirements.